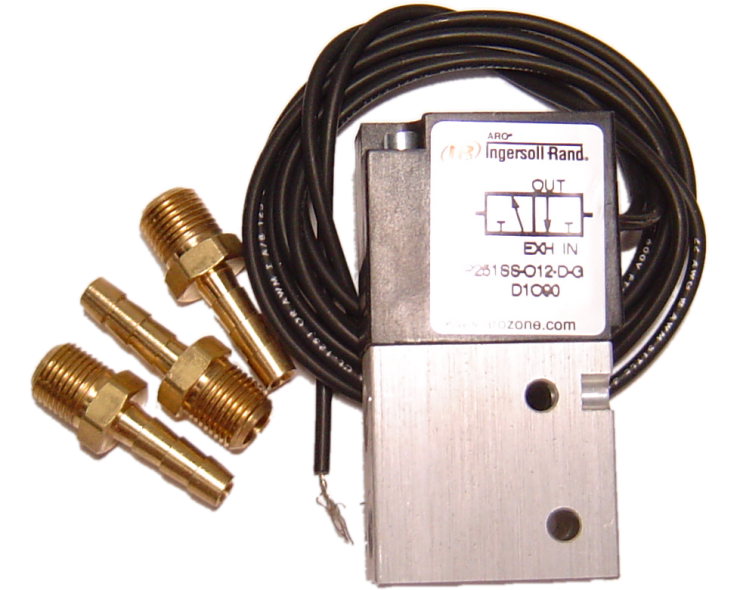 Here is the Ingersoll-Rand 3-port solenoid we recommend for use with the Boost Control function in ECMLink. 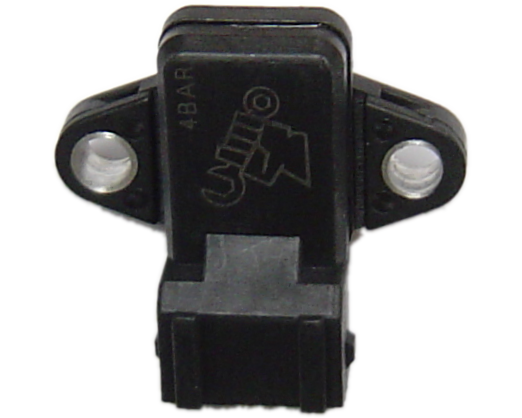 This comes with three 1/8" NPT to 3/16" hose barbs as shown in the picture. 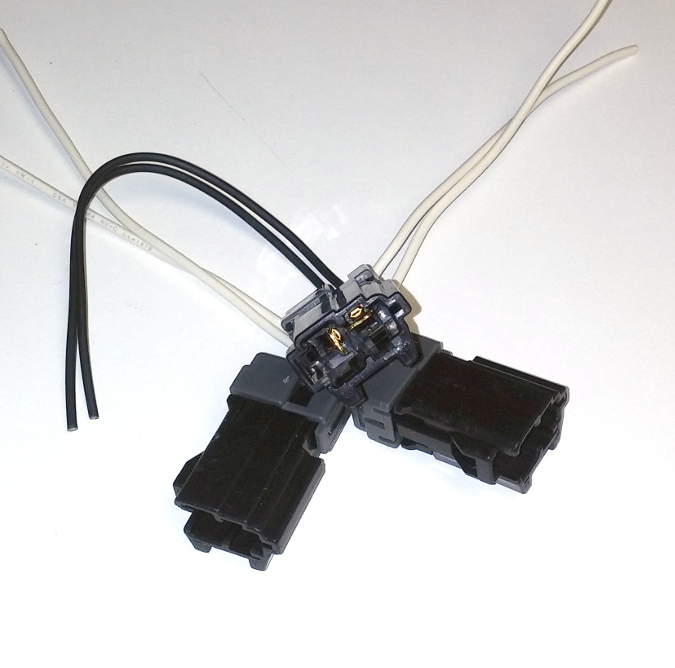 Use teflon tape or equivalent when installing these NPT adapters into the solenoid body. 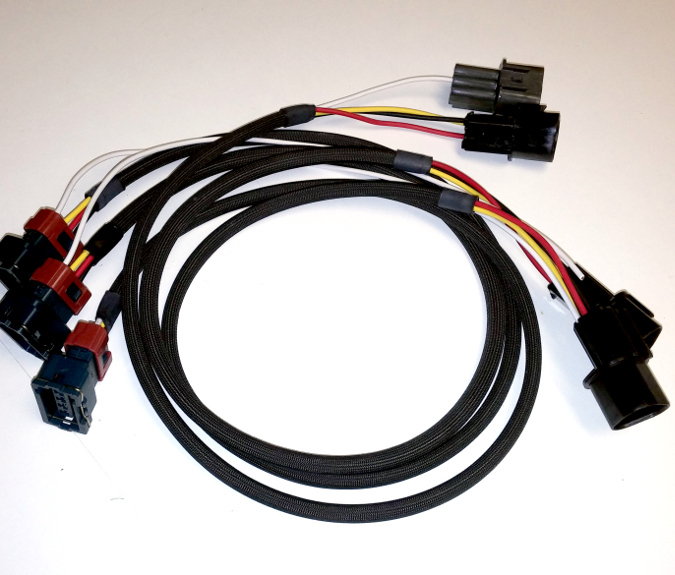 See here for the Boost Control wiki page. 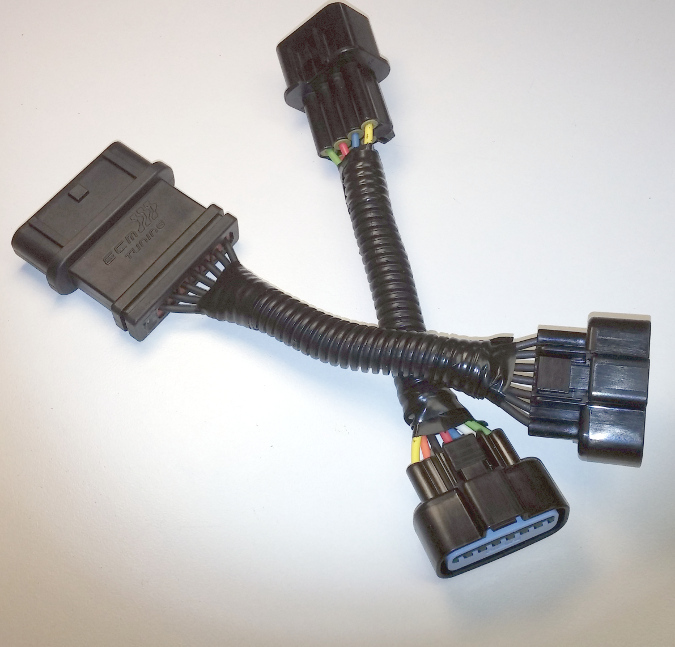 Wiring note: Be sure to check out the BCS pigtail if you'd like a little more plug-n-play on the car side.